For almost thirty years, I've been a storyteller. I've spent most of that time in small schools in rural communities—all over the world. Little did I ever imagine I'd end up living in a community and become part of a team fighting for their school. But it's a much bigger fight than that. It is about justice and finding a new way for rural communities. It's about sanity-making in a system so top heavy it's forgotten—is disconnected. What does putting our students first really mean? And how can a rural economy grow by closing down schools in places where the school really is the lifeblood of a community. Small Schools—can they survive in rural communities? How can any community flourish without a school? On the North Shore of Nova Scotia there are people trying—with everything they have—to create a school HUb proposal the school board will accept. River John parents and community members have faced roadblock after roadblock—old-style politics and ways of doing things. They are trying to raise money because they have been told by the Board (staff) they must come up with capital costs plus operating costs in order to stay open. That is impossible and not public education. So far, the Minister of Education seems to defer to the Board. It might even look like a game of good cop bad cop. 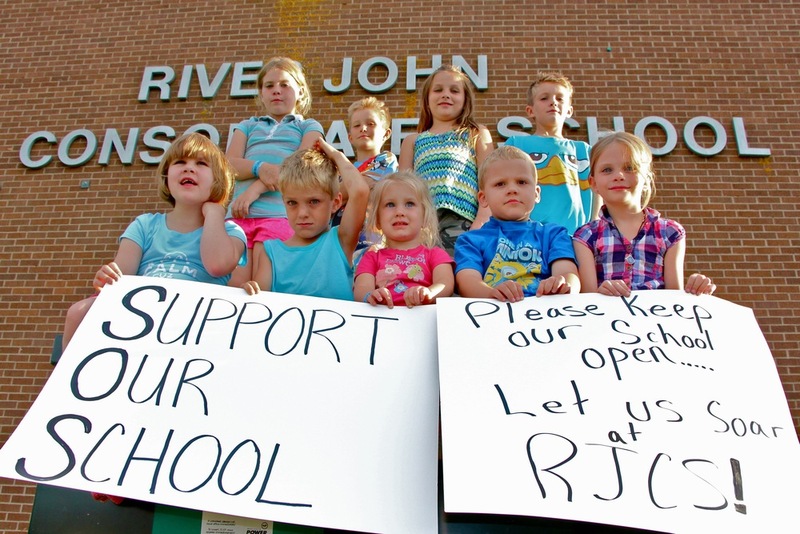 The Auditor General's report on all school boards in NS might be too late to help RJCS. On the bright side, there is groundswell of support. So bash on! I'm a come from away and so proud to be part of this amazing community effort. We have left no stone unturned—we are trying our best to create what we think is best for our children and what could benefit all children and families on the North Shore and Pictou County and beyond. We are using imagination and innovation. And facts. We are speaking our truths. We are acting not just saying let's act. We are saying let's find a new way forward that depends on partnerships, in kind donations—and breaking the status quo. Inventing the wheel means work. We are not afraid of work. We welcome it. Have a look! Email us.